Picture this: Three women walk into a bar. The first orders wine, the second orders a cosmo, and the third orders beer. Which woman, do you think, ends up in a conversation with the tall and mysterious stranger? According to the Budweiser ‘Beerpressions’ National Survey—a first-of-its-kind study about how beverage choices influence first impressions—your drink may be worth a thousand words. Based on a representative survey of 2,000 Americans (ages 21+) conducted by Learndipity Data Insights, Budweiser asked respondents to match common bar drinks with the perceived personality traits of the people ordering them. So what does your chosen drink say about you? 22% of men and 20% of women report that “more people chat with me at a bar” when drinking a domestic beer like Budweiser (compared to wine or other cocktails)—but only 11% of men and 10% of women observe a similar effect for imported beer. While 20% of Americans will actively consider how their drink order will be perceived by others while out with friends, nearly twice as many think strategically about their drink choices at a work event (39%) or on a date (34%). If ever there was a beer lover of beer lovers, Arthur Reid is just that. Reid, now 90 years old, has been taking his daily pints of bitter at the same pub for over 72 years. 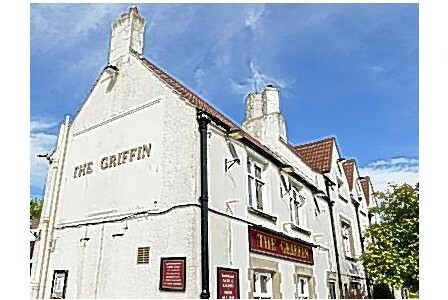 By some estimation, he has drunk over 30,000 pints of brew at his favorite pub, The Griffin on London Road in the tiny village of Warmly, UK about 115 miles west of London. True to his word, Reid has never wandered far from his home and birth place, Warmly. By his own account the furthest he has ever ventured is Weston-super-Mare, about 35 miles away. A world traveler, Reid is not. But, a welcome and warm character at the Griffin pub he certainly is. Reid walks the main road of Warmly for his daily pint, waving and smiling along the way. Before his retirement, Reid worked as a council worker; quite an accomplishment for a man who left school at the age of 14 to go to work as a laborer at a nearby farm. Through the years he worked at a quarry and for the highway department as well. So do we, Arthur. Cheers to you! Ten years ago your good beer choices in Jacksonville were restricted. You had a choice of going to any neighborhood bar and slugging back a bottle of watered-down, tasteless brews brought to you by the mega-breweries, or you could go to River City Brewing Company on the south bank for something a little better and definitely local brewed. Back then Ragtime was open in Atlantic Beach and Seven Bridges had beers on Southside Boulevard – but, they are corporately owned by the same company that runs the Gordon-Biersch restaurants. So, I say again, good beer was very hard to find in Jacksonville. Fast forward to 2012 and your choices have literally exploded. There are literally scores of restaurants around the First Coast serving quality craft beer both on tap and by the bottle from the beaches to the west side. Nothing illustrates this explosion of craft beer goodness than the King Street district of Riverside/Avondale. This once blighted and crime-ridden area of Jacksonville was the home of corner drug dealers and prostitutes. But, over the past few years the area has been transformed by an influx of beer-centric, restaurant, and entertainment venues. It is no longer a scary area of town, it is now an area some are dubbing; The King Street Brewery District. The area’s transition from drug-infested Hell hole to bustling entertainment district seemed to hit high gear when in 2005 Kickback’s appeared and a new standard was set for the area. At a recent city Land Use and Zoning committee hearing, the owners of Kickback’s emphasized the struggles they endured during the first months of the establishment being open. Steve Flores, one the owners, recounted tales of chasing drug dealers down alleys, over fences, and through streets to rid them from near his property. 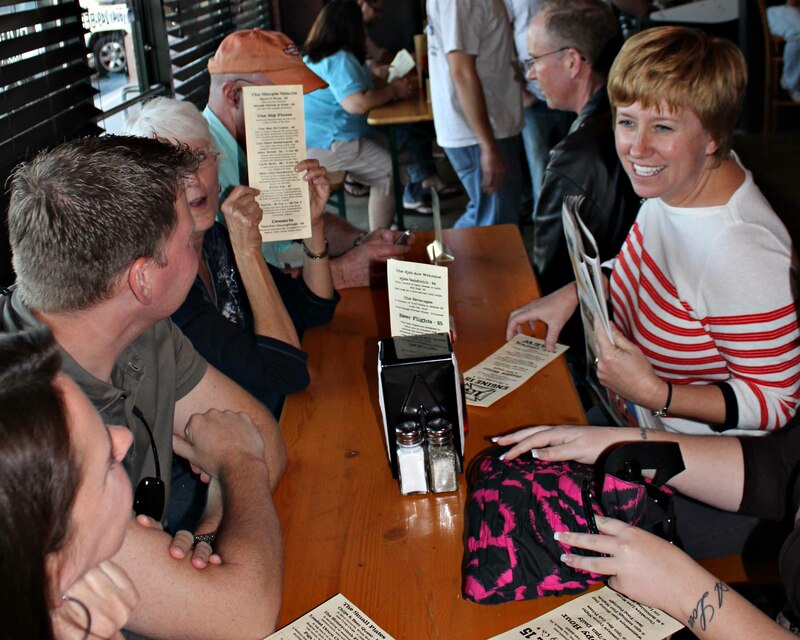 Today Kickback’s serves as an anchor for the busy district. Most evenings you will find the establishment buzzing with conversation and full of patrons enjoying some of the 84 beers on tap and hundreds of bottled beers available. The food brings the crowds in too, though. With an eclectic mix of comfort foods (they have Ramen Noodles, Spaghetti O’s, and corn dogs on the menu along with more traditional fare) and pub fare all served with a home-cooked feel. But, it is not just the food and drink that pack the crowds into this King Street institution. People come for the ambience, the sense of belonging, the knowledgeable staff, and the cheerful attitudes. 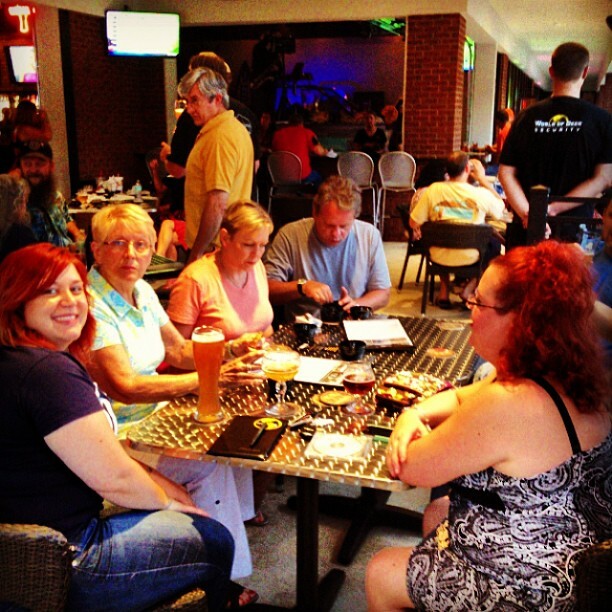 On weekends, Kickback’s is a hive of activity and, at times, a challenge to get into. The packed interior is filled with a cacophony of voices all talking, laughing, and enjoying the weekend. Navigation from one side of the pub to the other is a bit of a challenge too, since the tables are so close together and always full. Around midnight, an influx of partiers arrives from nearby restaurants and breweries. Most are only open until 11:00 or midnight at the latest. And since the King Street community of workers, residents, and regulars is so tight knit, a new round of hellos, handshakes, and squeals of delight at seeing old friends follows the influx. The interior of Kickback’s is a shrine to the marketing of the world’s favorite beverage, beer. The walls are lined with empty beer bottles hanging from eye-bolts and strung on rods. Other walls are festooned with metal beer signs, rock memorabilia, and a large chalkboard listing all the beers currently available on tap. From the rafters, hundreds of tap handles hang from threads embedded in the exposed wooden beams. The doors are heavy, carved wood reminiscent of the type of doors you would find in Europe’s oldest Public Houses. The bar is packed with the 84 tap handles and spigots that have made Kickback’s a favorite among beer freaks. At any time one could enter into the beer Nirvana on King Street and find several hard-to-find brews such as HopSlam from Bell’s or Dogfish Head 120 Minute IPA. You may find an interesting import like Schneider Weisse Tap X Mein Nelson Sauvin, a special edition brew created in Germany for ABT Cafes in Holland. Or, since Flores is a Belgian beer enthusiast, you might an exceptional Belgian like Kasteel Cuvee Du Chateau. In the near future the owners of Kickback’s, Flores and business partner Ed Salem, are planning on building a new restaurant next door to the existing establishment. The new place will sport a Steam Punk theme and share an expanded kitchen with Kickback’s. In addition the restaurant, named Gooslepipes and Guttyworks, will feature a separate Belgian basement bar and beer storage catacombs. In the long history of exceptional beer bas and pubs that have come and gone in the city of Jacksonville, Kickback’s has all the signs of being one with real staying power. Flores and Salem have built something special, a magical place that makes patrons feel welcome. If the enthusiastic crowds that pack into it are indication, the new restaurant will do just as well. We sure hope so. Often when one door closes another opens. Three college buddies dreamt of owning their own brewery. After drinking the vapid brews put out the monster mega breweries, they had tasted craft beers and wanted to be a part of that exploding scene. They began home-brewing, but with capital being so hard to come by in this economy and a lack of extensive brewing knowledge, the three decided a brewery was out of the question. But not long after the brewery door closed, the bus door opened. Yes, the bus door – the Jax Brew Bus door. The three — Josh Carpenter, Mike Maulsby and Glenn Vopper – found an old airport shuttle bus on foreclosure sale, pooled their money, and bought a bus. They had a snazzy wrap added to jazz up the outside and began working with local breweries to put together tours. Now the bus operates on Saturdays visiting three local breweries and one brew pub. Riders purchase a ticket and are shuttled to Intuition Ale Works, Bold City Brewing, Engine 15 Brew Pub, and Green Room Brewery. 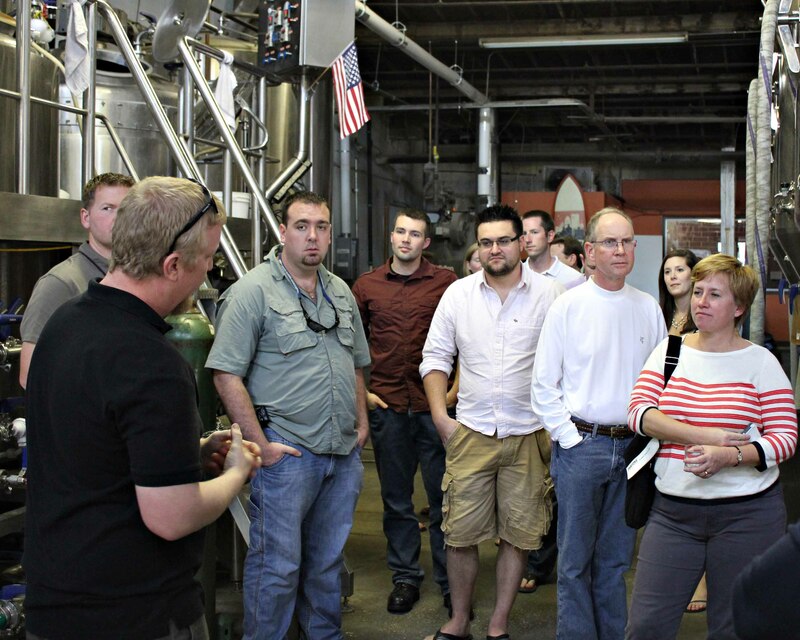 Riders get tours at several of the breweries and beer samples at all of them included in the $50 ticket price. Last Saturday I had the opportunity to ride the bus and experience the service first hand. The ride begins at Tinseltown on the Southside and travels to Intuition Ale Works first. Manning the bus is a driver and a tour guide. Our guide for the day was Maulsby with Vopper driving. Along the way, Maulsby entertained us with interesting information about the local and national craft beer scene. At Intuition we were ushered into the brewery bar to taste several of the breweries beers along with information about each. The tasting was followed by a tour of the brewing facilities and a visit to the Tap Room where we were encouraged to try other beers or fill growlers. The next stop was Bold City Brewing where we were again treated to a tasting and a tour. Brian Miller, co-owner and Brewing Operations Manager, related several interesting stories and treated everyone to a taste of beer directly from the fermentation tanks. A stop at Engine 15 at the beach yielded more tastes and some welcome food. 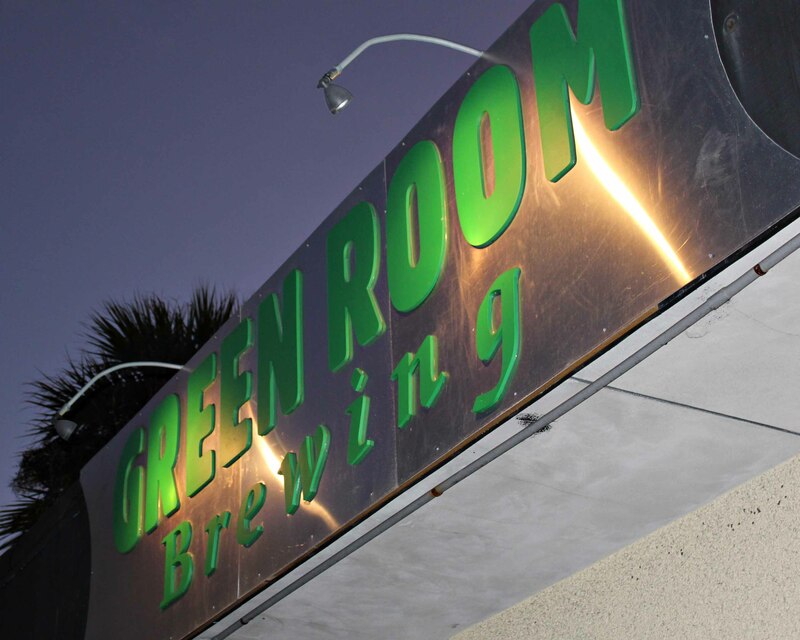 The final stop was at Green Room Brewery where riders received a complimentary beer. During the drive time an interesting thing happened, 14 strangers became fast friends. We were all drinking together, telling stories, and having the time of our lives. 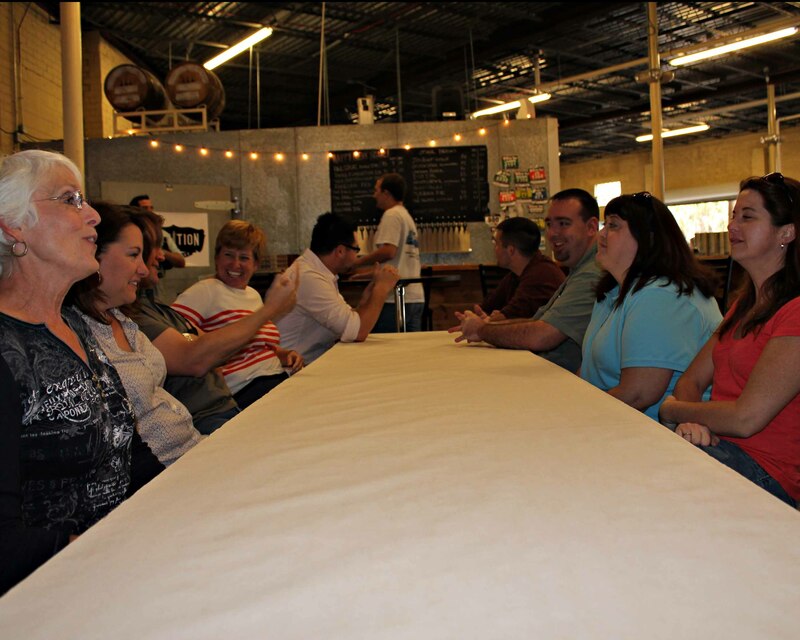 The Brew Bus became a matchmaker of sorts bringing together beer lovers and letting them learn from each other. It gave people the opportunity to share discoveries of great beers and it did it all in the span of just five hours. On these points alone the Jax Brew Bus is a smashing success. 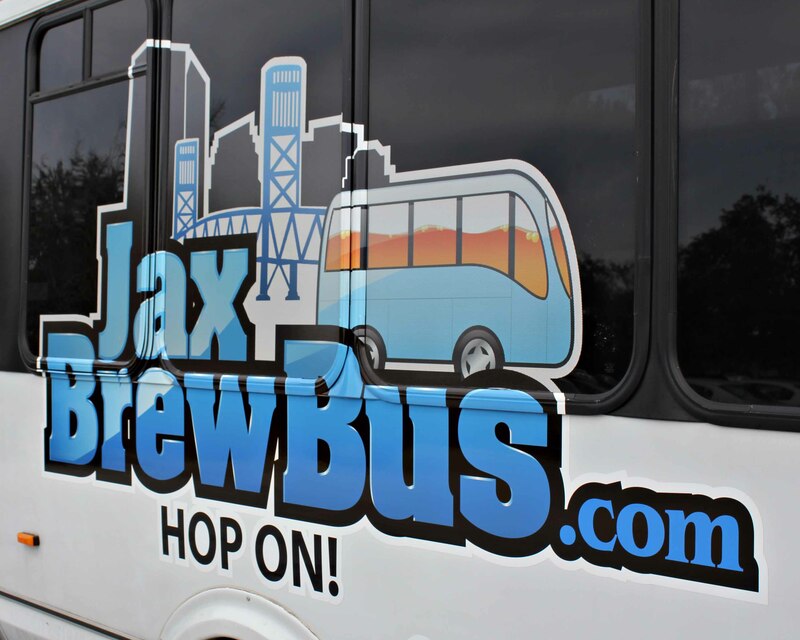 As the craft brew scene in Jacksonville grows, the Jax Brew Bus will look to expand its route. For now it conducts tours every Saturday from 1:00 to approximately 6:00 PM. 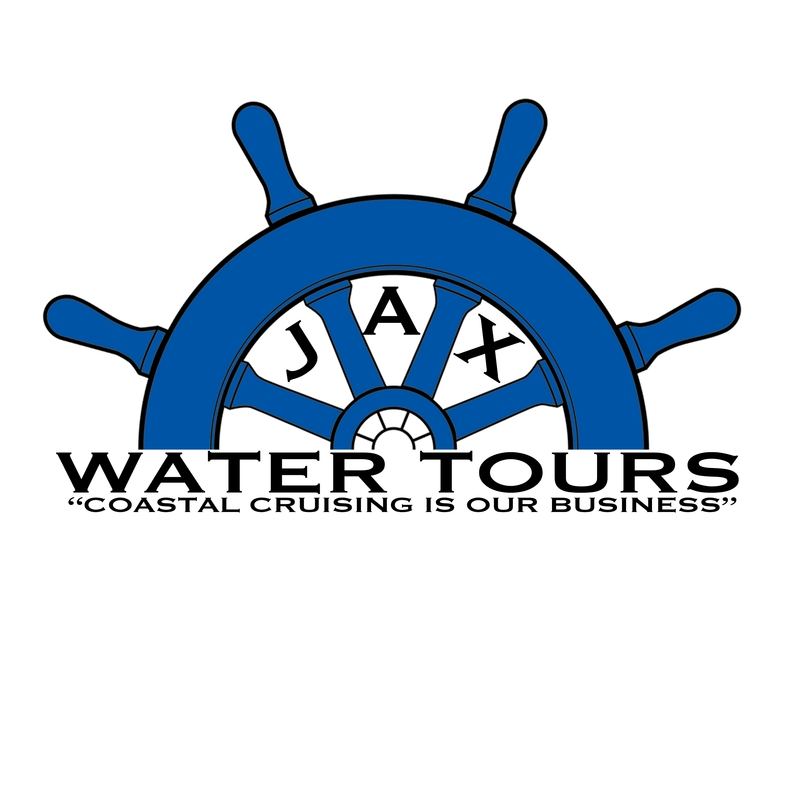 For more information or to make a reservation visit the Jax Brew Bus website at: www.jaxbrewbus.com. Let me ask you a question; what is your idea of a great, relaxed evening? I’ll tell you mine; a cool, Florida Friday night, sitting in the backyard of good friends, eating hoagies (their from up north and that’s what they call subs), and drinking cold beer. Not just any beer, mind you. Bold City Brewing’s Killer Whale right out of a keg soaking in a tub of ice. That, my friends, is a good evening.